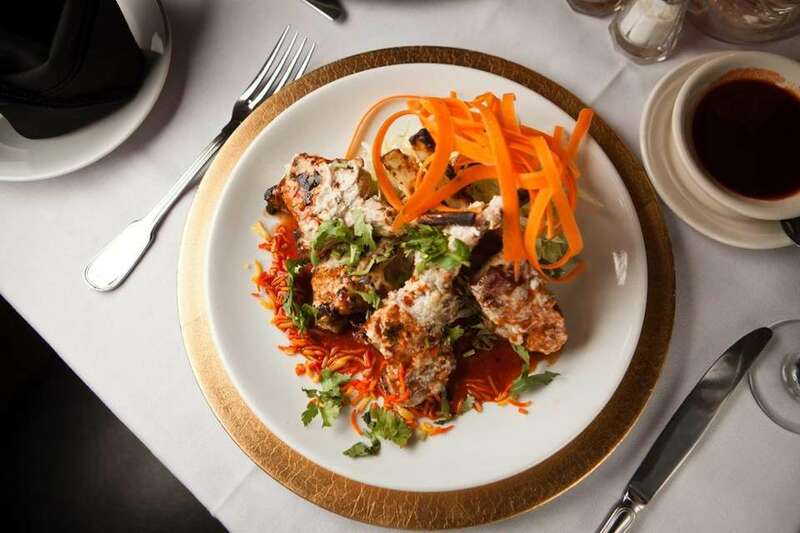 The flavors of India are as complex, exotic and compelling as the nation itself. To dismiss the cuisine as merely a collection of curries is to bypass the variety and excellence that awaits the adventurous diner. Treat yourself to delicate dosas, lacy crepes filled with a savory potato and vegetable mixture. Try some spicy, succulent tandoori chicken, accompanied by warm, lush tandoor-baked breads from the same clay oven. Or a biryani (rice dish) studded with lamb or chicken pieces. Or a mellow goat stew. 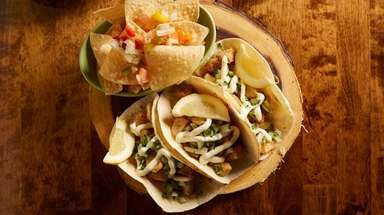 There's a huge array of dishes to try and no shortage of restaurants to do them justice. Selections by Joan Reminick. 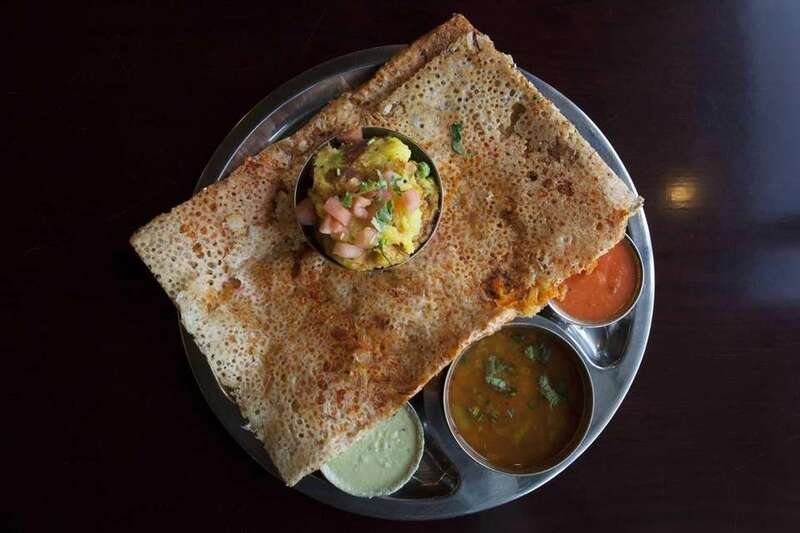 Chennai Dosas, Hicksville: Though the cheerful little eatery offers some familiar northern dishes, such as palak paneer (a spiced stew of spinach and house-made cheese), the true focus is on South Indian specialties headed by the dosa, a lightly crunchy, filled crepe. 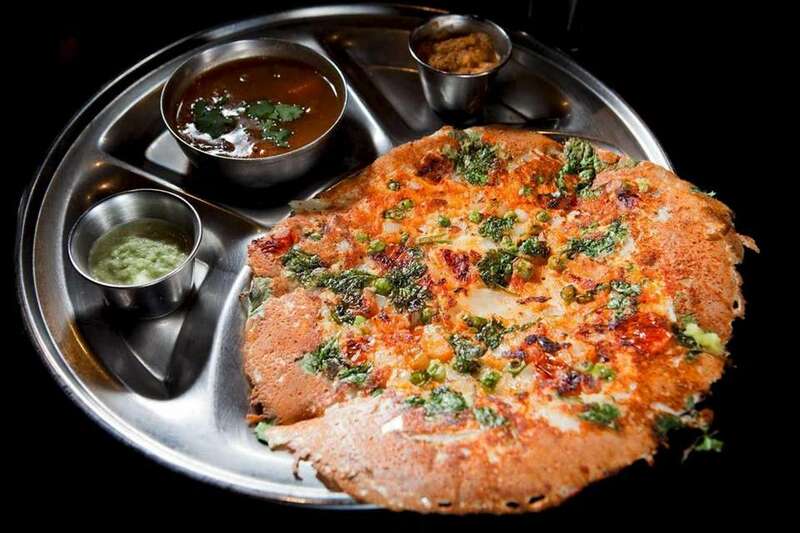 The chennai rava masala (semolina) dosai platter, pictured, is among the winning options. Also stellar: Kangipuram iddly, cream of rice cakes studded with chilies and cashews; aloo chat, a spicy boiled potato and chickpea salad; and the electrifying Indian-Chinese dish called gobi Manchurian, featuring cauliflower sauteed in a firecracker Szechuan-style sauce. Southern Spice, New Hyde Park: Surroundings may be nondescript at this South Indian restaurant, but the cuisine of the Chettinad region is more than eye-opening. Here, flavors go off like firecrackers. 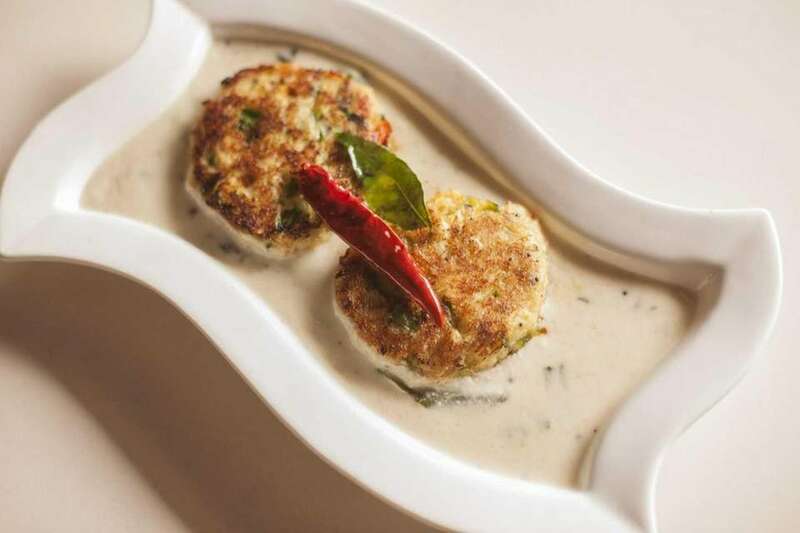 Lamb chops are slyly incendiary while subtlety characterizes the light Kerala crabcakes (pictured). Put aside preconceptions and try the silky-textured goat brain masala. Another winner: pepper-rimmed tandoori duck. 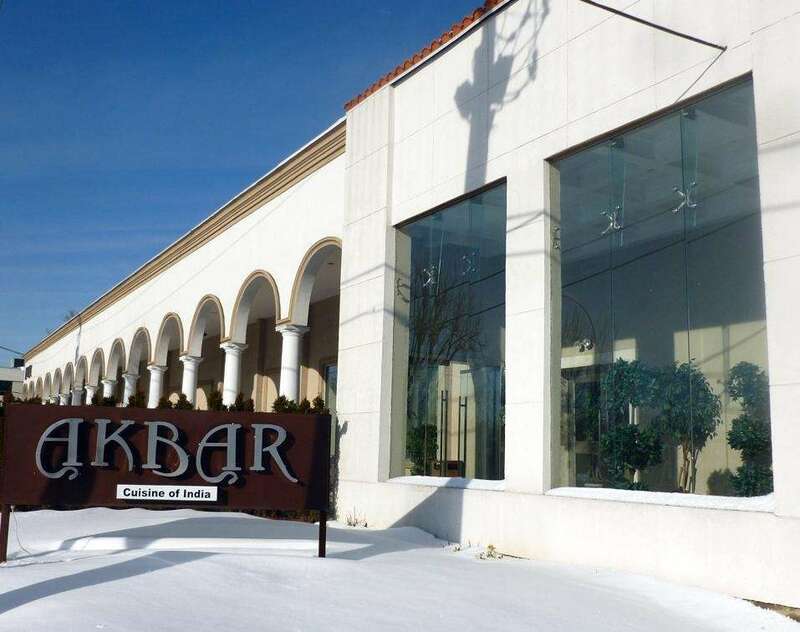 Kirin Palace, Commack: Here, you'll find both a comfortable setting and an extremely diverse selection. Vegetarian options are abundant, with standouts including aloo gobi, potatoes and cauliflower, and dal makhni, or simmered black lentils with a garnish of coriander. Also worth sampling: the saffron-tinted biryani (pictured is the turkey biryani), moist tandoori chicken and fiery lamb vindaloo. 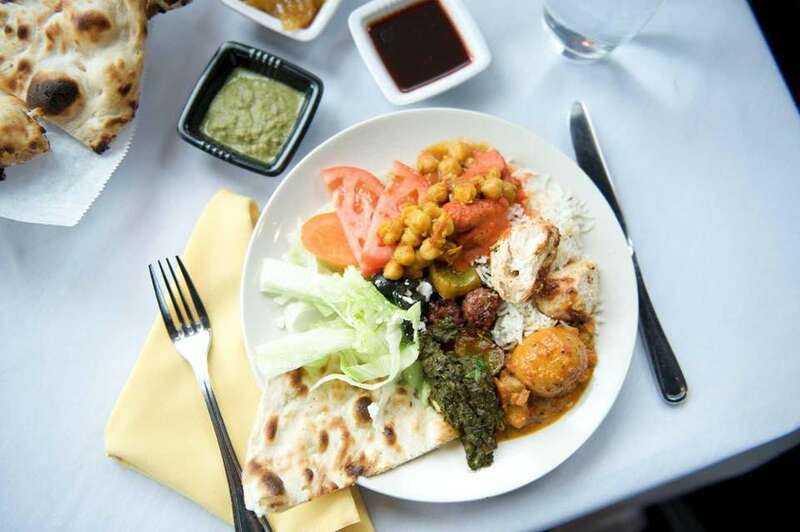 Cotillion, Jericho: A chic little Indian-Chinese-Thai restaurant embedded in a catering hall, Cotillion excels with a sizzling tandoori chicken and spicy chicken vindaloo, while garlic naan and onion kulcha rule the breads. Finish with gulab jamun, the Indian equivalent of fried doughnuts in syrup (pictured), offered in the lunch buffet. The Curry Club, East Setauket: You'll find almost all the Indian classics here, and you can sample many of them at the lunch buffet (with malai kofta, or mixed vegetable balls, pictured). Especially tasty: rogan josh, the hearty lamb stew; vegetable samosas; and chicken pakoras. Of course, curries are here in abundance; there are almost 30 of them, including fine vindaloos. 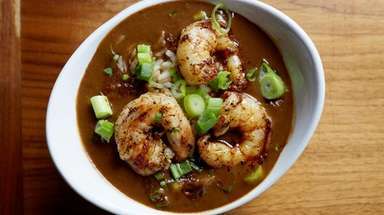 They range from mild to fiery and incorporate lamb, goat, chicken, beef, shrimp and vegetables. Raga, East Setauket: The menu combines traditional North and South Indian dishes with a few fusion-type forays. Prices are affordable (some entrees come with soup or salad and dessert), and the lavish lounge-style atmosphere encourages socializing. The lunch buffet includes chana pindi (chick peas in cumin) and saag paneer (both pictured). Raagini Indian Restaurant, Baldwin: Dinner at the quirky and colorful Raagini Indian Restaurant can make you feel you're eating in someone's home -- someone who cares about feeding people well and attentively. Recommended dishes include the assorted kebab platter, garlic shrimp (pictured), goat curry, lamb jhalfrezi, saag paneer, fish tika and Kadai shrimp. Finish with gulab jamun or kheer. House of Dosas, Hicksville: The vegetarian fare at this rightly popular southern Indian restaurant draws crowds from all over Long Island. Big, vibrant flavors and quality ingredients are the reasons why. 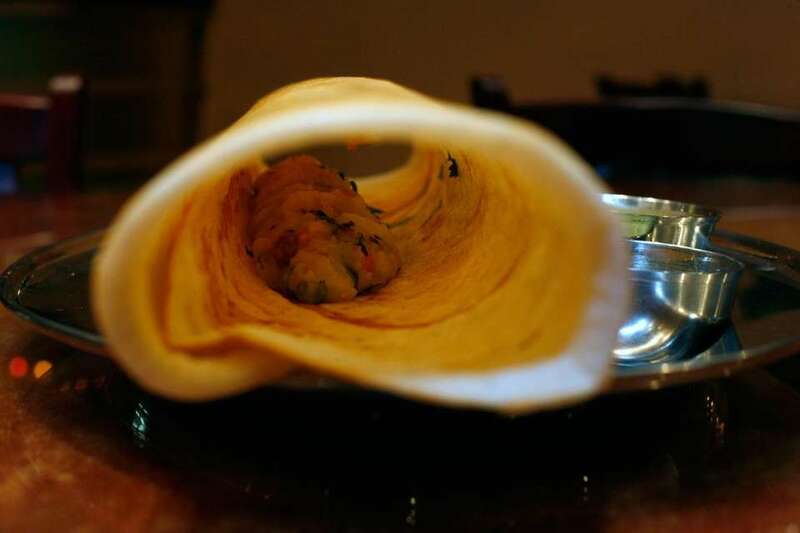 Go for the namesake dosas -- potato and/or vegetable-stuffed rice and lentil or semolina crepes. Other hits include uttapam (pictured), dosa batter with a vegetable filling baked right in, and bhel puri, a popular street snack made with puffed rice, onion and chili. Madras Woodlands, New Hyde Park: Since everything on the menu of this stylish-looking South Indian restaurant is meatless -- and kosher -- even the strictest vegetarian can go to town. Dosas (lacy rice- and lentil-flour pancakes, pictured) come in myriad varieties, and there's the comforting mixed vegetable uthappam, a thicker frittata-like pancake whose filling is baked right in. Palak paneer (spinach and cheese curry) is lush and savory. A real must is the bread; both the aloo (potato) paratha and onion chili paratha are warm and pillowy. Akbar, Garden City: Sink into regal rooms, decorated with lush carpets and chandeliers, as you consider tandoori specialties such as chicken tikka, marinated in yogurt with garlic; and the chicken malai kebab, with lemon and ginger. Spiced minced lamb, or seekh kebab, is moist and right. And the clay oven tandoor also yields juicy grilled lamb chops, four thin ones neatly charred. Akbar excels with vegetarian courses too, such as the delectable union of potatoes and cauliflower, or aloo gobi. Desserts are headed by kheer, a sweet rice pudding; rasmalai, cottage cheese with rose water and nuts; and kulfi, Indian ice cream with cardamom and saffron. 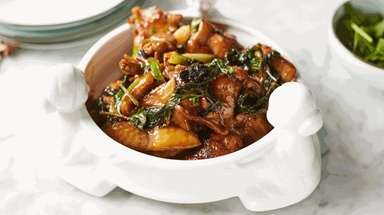 The best Asian restaurants on Long IslandDishes from Asia deliver big flavors, unusual ingredients and a break from meat and potatoes. 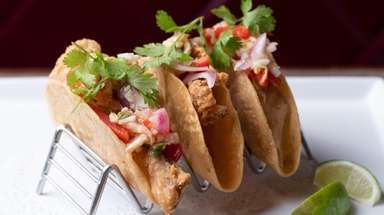 And with so many restaurants to choose from on Long Island, the choices can be dizzying. From India to Thailand to Vietnam to Pakistan, here are our top picks. 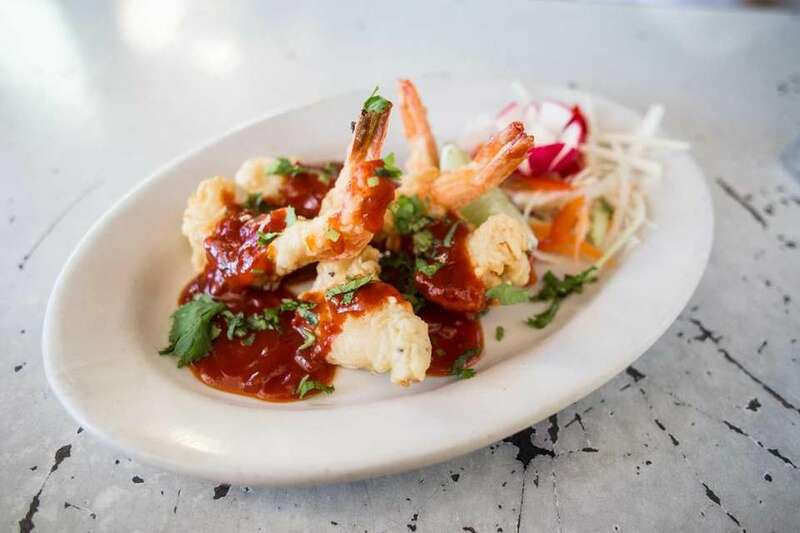 LI's best seafood restaurantsNewsday's picks for the top seafood restaurants of the year.